Excellent facilities: We offer FREE wireless connectivity (with no bandwidth or device limit), and would be more than happy to assist with planning your tours. Great location: A hostel located in the heart of Bangkok – close to Pratunam Market, Indra Square and the Platinum Fashion Mall. 24-hour check-in. Arriving at night? Just let us know beforehand and we will arrange check-in for you. 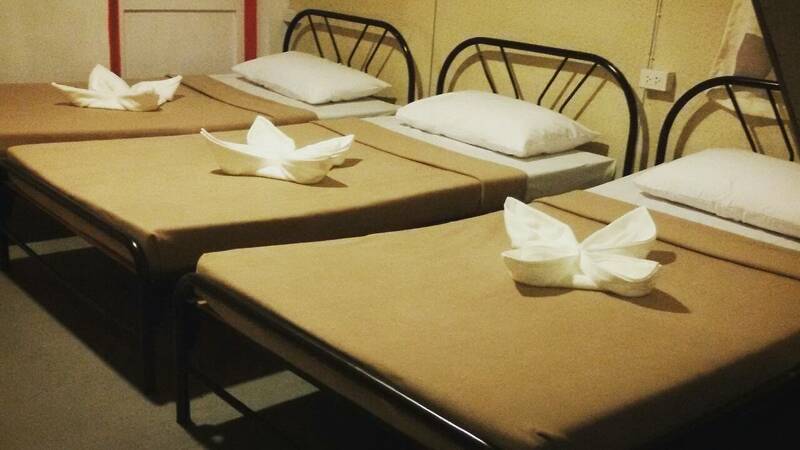 Welcome to the most affordable place to book your bed for the night – uHostel! Our hostel is located in the centre of Bangkok and is ideal for guests looking for simple accommodation. With Bangkok’s top shopping and cultural attractions right on your doorstep, you’ll never run out of things to see and do! When you’re finished exploring one of Bangkok’s tallest buildings, Baiyoke Tower II, the ideal shopping experience offered by Pratunam market is only minutes away. Then, a six minute walk through Phetchaburi road will get you to Platinum Fashion Mall, where you will find clothing and accessories for wholesale prices. And beside Platinum Fashion Mall is Pantip Plaza, Bangkok’s largest IT mall. In addition to transportation through airport link, buses run all day and night – around-the-clock, not to mention the boat-bus – which runs from Ramkamphaeng to Sanam Luang (Wat Phra Kaew). And after all that rigorous shopping, there is no better way to spoil yourself than taking advantage of the innumerable spas that dot the area. What more could you want? Book now! We can’t wait to meet you.